With the popularization of mobile personal finance apps, managing your money has never been easier – and deciding how to do it has never been harder. Whether you want to build a basic budget or refine your investment portfolio, there are hundreds of apps on the market claiming to have just what you need. But not all apps are created equal, and the quality can vary widely depending on which offer you choose. Beyond that, even the best financial apps can be a bad fit depending on your specific situation and personality type. Half the battle is figuring out what you’re looking for and which products can meet those needs. Two of the most popular personal finance apps are Personal Capital vs. Mint. Let’s take a look at how they compare, where they each do well, and how to decide which one is right for you. 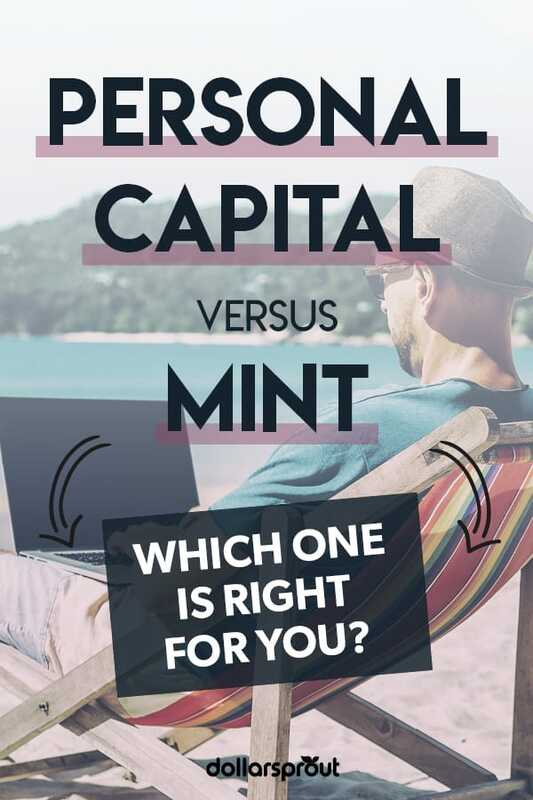 Personal Capital vs. Mint: Which One is Right for You? Personal Capital is the kind of product that gets investing nerds excited. It’s a full-scale investing app that also includes cash flow management and net worth tracking. The app is designed for consumers who have spent some time managing their spending, can stick to a budget, and are ready to tackle investing head-on. It’s more sophisticated than most investing apps, so it rewards the kind of investor who can rattle off all the differences between a traditional and Roth IRA. Personal Capital also offers financial advisory services for clients who want a person to guide them with their investments. This can be helpful for readers who want to find a financial advisor but aren’t sure where to look. One of the most popular financial apps on the market, Mint is synonymous with budgeting. Founded in 2006, the app has become one of the most highly recommended tools for beginning budgeters. It has a user-friendly interface that makes budgeting look more like a fun game than a boring spreadsheet. Mint has expanded its offerings in recent years, aiming to be a more comprehensive financial service for consumers. For example, users can now view their credit score with Mint. The app also shows the factors responsible for your credit score and gives users actionable advice to improve it. This is particularly helpful for consumers trying to qualify for a mortgage or student loan refinancing. Mint also has a goals feature where you can link different accounts to specific goals. For example, if you have a savings account just for your emergency fund, you can tell Mint that you want to save $10,000. Mint will help you determine how much to save and send a notification when you’ve reached that goal. While they’ve branched out from their roots, Mint’s primary focus has remained on its budgeting features. The company is dedicated to helping people with their most basic budgeting and personal finance problems. For example, Mint notifies users when their credit card bill is almost due, saving them from late fees and interest charges. They’ll also notice when you’ve paid ATM or foreign transaction fees and point out alternative banks or credit cards to help you avoid them. You have any unusual spending, which can notify users to potential fraud. The interest rate on your credit card changes. Your available credit dips below a certain threshold. You make a large purchase or deposit. You have a low balance on a checking account. These emails keep users informed and aware. It’s one reason why Mint is a good choice if you want to be proactive about your finances. Both services are free to use and operate in a similar way: users provide their bank, credit card, investment, and loan accounts with Mint or Personal Capital. The apps use high-level encryption to store that data and sync the transactions on a regular basis. Every time you make a transaction with a linked account, the app will download that information so you can categorize the expense and examine it. The apps also look at your loans, investment accounts and other information to provide feedback on those areas. Both have full-scale versions on the web and through an Android or iPhone app. Personal Capital’s target demographic is someone who has a solid handle on their budget but wants to maximize the growth potential of their finances. This is likely a more affluent consumer with a strong interest in investing. They want to dive into the minutiae of investing without paying for a financial planner or trying to build their own spreadsheet. Mint’s software is designed for the financial novice, someone just learning how to manage their spending, pay down debt, and start saving for retirement. Mint aims to make budgeting easier so consumers will stay motivated to achieve their larger financial goals. Personal finance software like Tiller and You Need a Budget use a subscription service to make money. Mint and Personal Capital are a little different. The apps are both free for users, but they differ in how they approach monetization. Mint offers credit card and other loan products to consumers, earning affiliate income if a customer signs up for an account. If you see a Wells Fargo credit card mentioned on your Mint account, that means Mint will most likely make money if you join Wells Fargo through that link. Mint usually has two or three ads on the user’s dashboard. Personal Capital’s business model is more like that of an investment firm. If you hire Personal Capital to suggest and manage investments for you, you’ll pay a small investment fee for assets under management. You don’t have to sign up for this extra service and there’s no pressure to join. 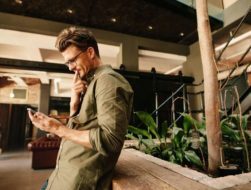 Here is a side-by-side comparison of Mint and Personal Capital to help you decide which personal finance app is right for you. Mint’s budgeting feature is robust and includes features some users aren’t even aware of. You can create as many categories and subcategories as you want, allowing for a budgeting approach as detailed or as simple as you need. For example, my husband and I each have a separate “entertainment” budget for our own discretionary spending. When I categorize expenses, I can go to the “Entertainment” category and find the “Zina Entertainment” subcategory. If you’re into dividing expenses, Mint can help you simplify the process. Mint also allows you to create spending categories that don’t occur every month. When you make a new expense, you can choose to have it recur as infrequently as needed. This is perfect if you want to plan for your quarterly oil change or annual Christmas presents. You can also split transactions between several categories. When you go to Target and buy groceries, makeup, and toilet paper, you can easily divide each expense accordingly. Mint understands that transactions can be complicated and tries to simplify the process. The app can also remember transactions. For example, if you frequently buy groceries at Whole Foods, you can tell Mint to always categorize Whole Foods as “groceries.” if you always get gas from the Shell station near your office, you can automatically categorize Shell as “gas.” This takes some of the work out of budgeting. Personal Capital has a budgeting option, but it’s not nearly as powerful or sophisticated as Mint’s. The PC budget only lets you analyze and categorize expenses after the fact, while Mint encourages you to dictate your spending based on income. You can add new categories in Personal Capital and the app will show how your spending compares to the month before, but the overall user experience pales in comparison to Mint. To put it simply, Mint is the clear winner when it comes to bill alerts. It sends out email reminders for each credit card bill, usually 10 days before the due date. It also posts reminders on the user dashboard, which you’ll see when you log in. This allows consumers plenty of time to schedule a payment or make sure autopay is functioning correctly. Mint used to allow customers to pay their bills directly through the app, but it discontinued that option in 2018. Personal Capital has a tab marked “Banking” with a sub-tab, “Bills.” From there, you can see which bills are due when, but the app doesn’t send out reminders. Because both apps rely on the cooperation of banks and credit card companies to give them remote access, each can have issues syncing accounts. Some banks work better with Mint while others sync better with Personal Capital. It truly depends on the kind of accounts you have. You might have to set up profiles with both Mint and Personal Capital to see which app syncs better with your bank. Mint has an extensive Q&A list and community forum, and a chat customer service option if you need specialized help. Personal Capital also has a community forum, and users can send help tickets if they have other questions. Neither has a general phone number that customers can call, which is typical for these kinds of apps. Holdings: This shows the kind of funds you own, how much money is in them, the price per share, and how much the fund grew. You can also group the funds by type. There’s even a graph that shows how all your funds compare to investing benchmarks like the S&P 500, the Dow, foreign funds, and U.S. bonds. Balances: This shows the balance in all your IRA, 401k, and other investment accounts. You can see how the funds changed within the past 30 days, 90 days, 6 months, and year. Performance: This section shows a graph outlining your account performance. You can hover over any point to see the exact amount of growth. Allocation: This is where Personal Capital really shines. The app analyzes all your accounts and provides information on the different sectors you’re invested in, such as U.S. stocks, international stocks, U.S. bonds, international bonds, alternatives, and cash. Investors need to make sure they’re properly diversified, and Personal Capital outlines that information in no uncertain terms. S. Sectors: This section shows exactly what type of industries you’re invested in, such as Energy, Financial Services, Healthcare, etc. From there, you can click on each industry to see which of your funds hold stocks in that sector. Mint’s investing capabilities are adequate for its customers, but nowhere near as robust as Personal Capital. It does compare your account against the S&P 500 and Dow, but the graphs are harder to parse if you’re not already an investing expert. Personal Capital’s retirement planning features are simple but powerful. Users tell the app when they want to retire, how much they have currently saved, and how much they save each year. It syncs to their investment accounts and then calculates their retirement trajectory. The app also shows how much they’re paying in fees for each fund, something that Mint doesn’t offer. Most investors don’t realize how fees can eat away their profit margin, so this feature is key. The app projects how much of your nest egg you’ll pay in fees over your lifetime, which can clearly illustrate the dangers of a 2% annual management fee. Mint’s retirement planning feature is available in the Goals section, where users can pick the “Save for Retirement” button. From there, they can select when they want to retire, which accounts they’ll use to save for retirement and how much they currently save each month. Mint will explain how much more users need to save to reach their target date. This may be adequate for most people, but die-hard planners are better served with Personal Capital. Customers should be aware that neither app offers the customization or specificity that a personal financial planner does. These services can only provide a basic overview of your retirement accounts. If you’re close to retirement or want to retire early, you should consult a qualified planner to figure out if you’re on track or missing something. Mint is owned by Intuit, which also manages TurboTax and Quickbooks. These are some of the most popular and secure financial products on the market, so you can trust Mint to be careful with your information. Mint has been around for more than a decade and has yet to be hacked. Personal Capital has been in service for 10 years with no reported hacks. As with any online app that asks for personal information, you should monitor your accounts to make sure nothing goes afoul. Neither company can promise 100% security, but for now, your information appears to be safe with both options. Both services have free Android and iPhone apps. Mint’s app has a 4.3 rating on Google Play and a 4.7 rating on the Apple store, while the Personal Capital app has a 4.6 with Google Play and a 4.8 rating on the Apple Store. The most important factor in deciding whether to use Personal Capital or Mint is which app syncs well with your bank and credit card accounts. Some banks will work with Mint and not Personal Capital or vice versa. Open an account with each to see which one you’re more compatible with. Most of the people I know who use Personal Capital love the extra investing insights. They want to see if they’re holding too much in US stocks or too little in growth or value stocks. The attention to detail in the investment portion makes Personal Capital a clear winner for consumers who want an app that keeps them engaged with their investments. Mint is an app designed for the average consumer — someone who wants to budget and cut down on their spending. The app does offer some basic investing tools, but nothing as specific or sophisticated as Personal Capital. If you’re looking for a budgeting app that will notify you when you’ve spent too much money on eating out or if your credit card bill is almost due, Mint is the answer. If you’re looking to manage your retirement accounts and fine-tune your investing strategy, Personal Capital is probably a better option. Deciding which one to choose is a matter of personal preference, but consider this — there’s no reason why you can’t use both. They’re each free to use, easy to set up, and take little time to manage. I use both apps because they each tell me something different. I use Mint to track my spending from month-to-month, and Personal Capital to track my investments. They don’t have to be mutually exclusive, as each app is a useful tool in your financial arsenal. Hi, I'm Zina! I'm a personal finance expert with a passion for helping millennials figure out their most pressing financial issues. My interest is personal -- I paid off my student loans in three years and have been helping others take control of their finances ever since.My work has been featured in the Washington Post, Fox Business, Time, QuickenLoans, LendingTree, Forbes, Money.com, Mint, and many more. I currently live in Indianapolis, IN with my husband and two dogs.